So, you’ve just run out of your business cards and need new ones. However, experience now tells you that you don’t need hundreds of these cards because the last set lasted quite a lot of time. 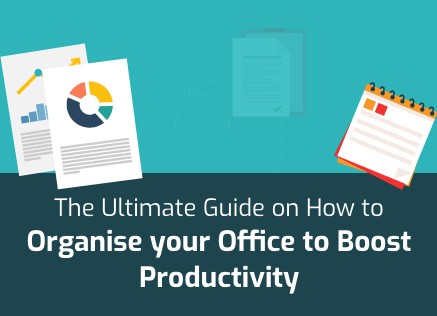 On the other hand, maybe you dole out your business cards regularly and have realised that using professional services to print business cards for you on a monthly or quarterly basis is turning out to be too expensive. It’s possible to get around both these scenarios quite comfortably. The answer is to print business cards at home or work independently. If you’ve never considered this, then it may seem a bit too DIY but let us assure that it isn’t. It’s a simple enough process if you know how to do it. Here are some steps to help you print business cards at home or work. 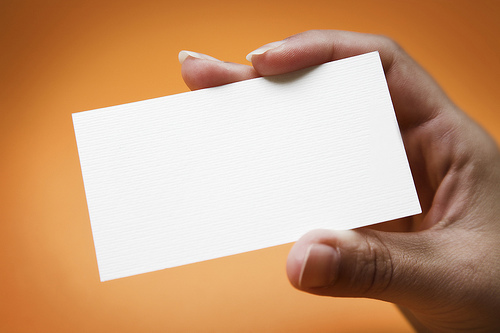 Before you can print business cards at home or work, you need to know the design. This is usually the most crucial part of the process and the main reason why printing service providers tend to charge so much. Moreover, designing business cards by yourself could be a problem if you don’t have any background in designing. Fortunately, there is enough demand for this problem for entrepreneurs everywhere to have created simple business card design software programmes. Depending upon the extent of your needs, you can choose between myriad software programmes created for this purpose. If your requirements are simple, you can use Microsoft Word and its labels tool. If your requirements are slightly more refined, you can choose to use Microsoft PowerPoint to create slides and then repeatedly paste them to print business cards. If you really need something artistic, then you may even want to buy or download software programmes explicitly created for designing business cards. However, by far the easiest and simplest method is to use web applications. The design options these applications contain may limit you but the simplicity they offer will free your time and energy. Once you have the design, you’re ready to print business cards except for two things – the paper and the ink. 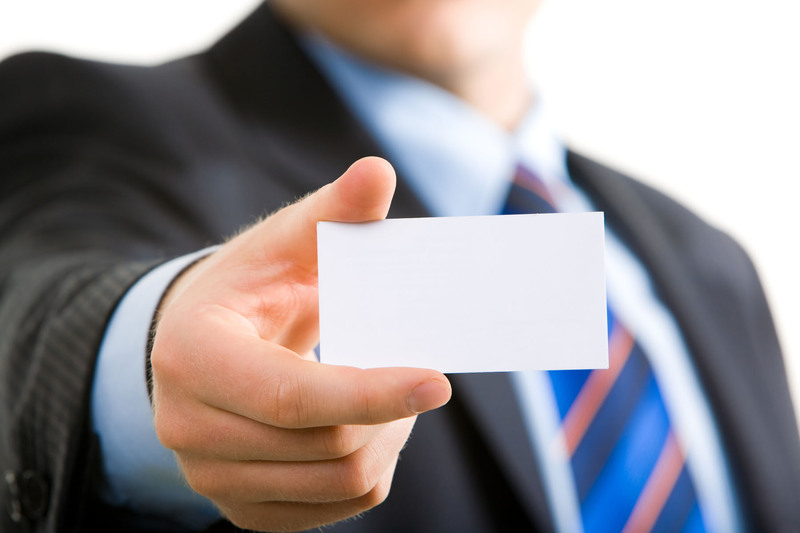 You need the right type of paper to be able to print business cards. Business cards tend to be thicker than your standard printing paper. They are often aptly referred to as cardstock printing paper. The thickness varies from one type of cardstock paper to another so you may have to try multiple models to find the most suitable one for your preferences. You can do this by going to a local office supplies store and buying samples. Depending upon the paper type you choose, you may have to consider the ink you use. Different ink types are suitable for different paper types. Typically, laser printers are recommended because they bond the toner particles with the paper fibre. With ink prints, there’s always the risk that contact with moisture will cause the ink to flow. One of the benefits of being able to print business cards at home or work is that you’re not compelled to order large amounts of your card even though you need only a few. At the same time, when you print business cards at home or work, even 50 or 100 cards will sound like a lot, especially if you’ve had to just buy special paper and cartridge for your printer. 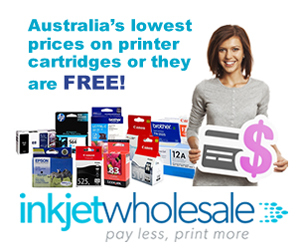 Professional printers benefit from economies of scale. While you get the advantage of small numbers while printing yourself, you lose the benefits of economies of scale. What all this means is that you can’t make mistakes like printing all the cards you need immediately after designing. You need to test the layout, the print quality, and colour combinations. For this, you should first print only test pages. This means printing one page to see how the cards end up looking. Once you’re satisfied, you can go ahead and print the rest of the amount.